Install a Guardian Solid Roof on your Conservatory and Enjoy it All Year Round! 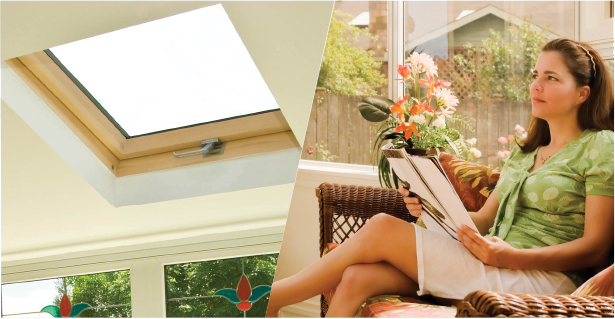 Swindon Guardian Roofs are accredited installers of the Guardian Conservatory Roof in Swindon. We are a local company and from our Swindon base we install Solid Conservatory Roofs across the South West of the UK. If you are located in Swindon then look no further than Swindon Guardian Roofs. Because we operate locally we are able to offer you the most competitive quote as our travelling distances are minimised. And we care. We live locally and we want to provide you with an excellent product and the highest quality of service. So that you will recommend us to your friends and relatives. For unbeatable quality of work and a 100% commitment to the satisfaction of our customers, just call Swindon Guardian Roofs now. Our friendly team are on hand to take your call and we'll provide you with all the information you may require about a Guardian Tiled Conservatory Roof installation. A conservatory is a great addition in your Swindon home and should be enjoyed all year round. But as you probably are already aware, there's a problem in that during winter when the conservatory becomes too cold to use due primarily to massive heat loss through the roof. The Guardian roof has been designed to solve this problem. The insulated tiled roof, finished off with a standard plastered finish, offers high levels of insulation that effectively will turn your conservatory into another room for your property, thus increasing the overall value of your home. And there's more great news. With a U-value of only 0.18, the roof is less than half of the standard insulation value that your home roof should meet if you live in Swindon. Choose from contemporary or traditional finishes with plaster or timber/PVC cladding options. You can also add fantastic finishing touches with concealed lighting ... and our installation team handle everything. The options are endless and provides the scope you require to produce a unique look for your home. Why not request a visit from a member of our knowledgeable sales team who will be able to discuss the wealth of options and show you some fantastic examples of previous Swindon work. Or maybe you would like to design your own interior solution. Whatever the personal fit for your needs, we're here to help and support you from initial concept through to the final walk through. And we never sign off any work for payment until our customers are completely happy. So you are guaranteed the perfect finish. Please click below if you would like directions on how to find us. guarantees a perfect result every time.